The King of Luster & fineness! 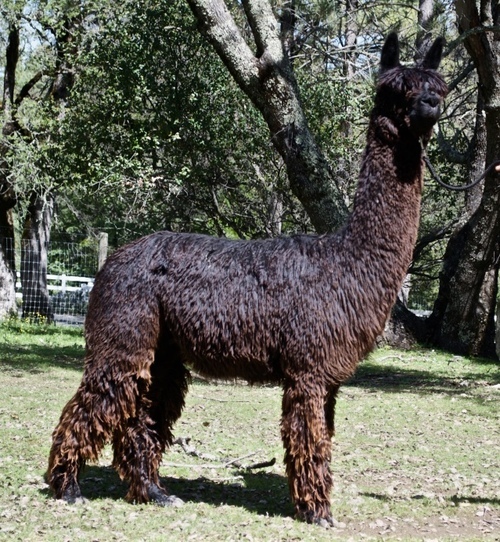 Here's one of our very own boys, grown up to be a full-fledged Herdsire! 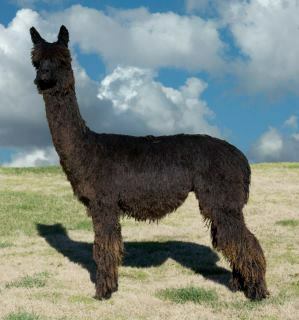 This young herdsire is a result of a confluence of amazing bloodlines. 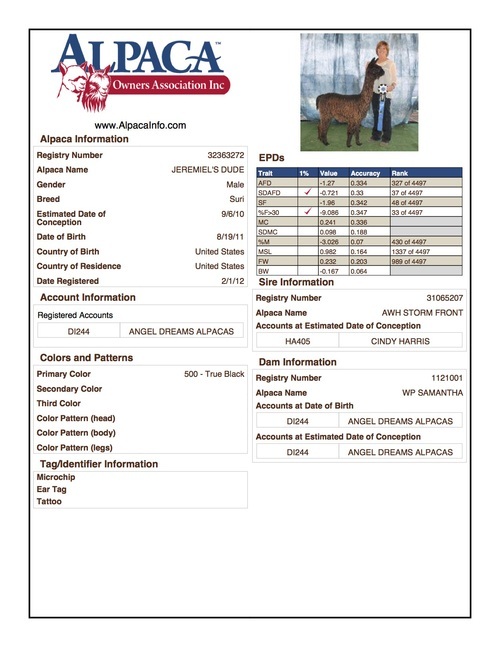 His pedigree boasts Apache, Uribe, Helios, Bruxo, Belmonte, Jackpot and Torbio! He is aaaaaaaaalllllllllmost full Accoyo, too! Storm Front showed as a really little guy, took a Blue and a Reserve Championship as a 7 month old! 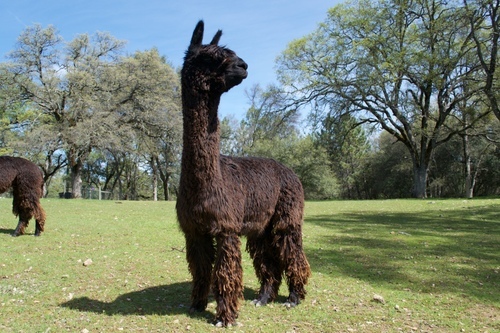 Not only is Samantha a sister to the great Captain Morgan, but she is the sweetest, friendliest alpaca you would ever want to meet. 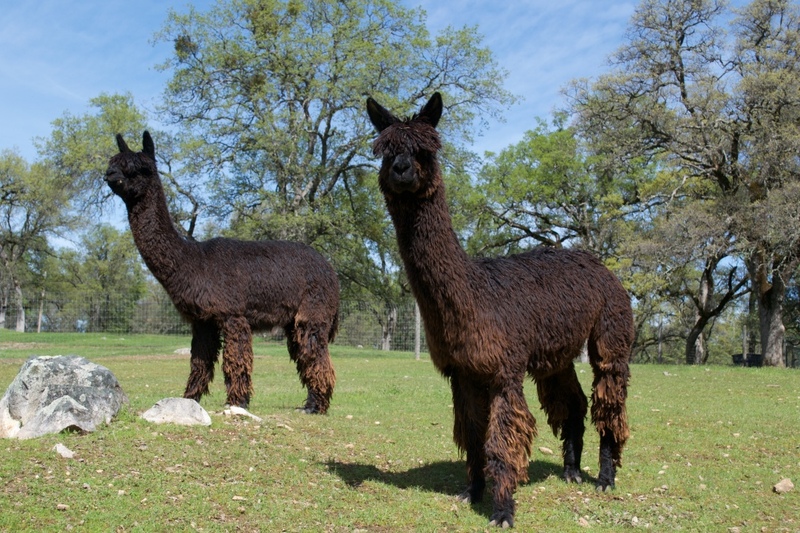 AND she passes this disposition to her crias. Come and pet her--you will want to take her home! Samantha's daddy was Mr. Wizard, a son of the great Accoyo Inca. Both are deceased, but their legacy of fineness and density continues in Samantha. Her mama is CSA Swiss Miss, the dam of Captain Morgan. In his 5th fleece he has luster from the skin to the tip, lovely lock structure, exceptional organization and an incredibly soft handle. Dude's dam Wp Samantha was something to admire in her day. 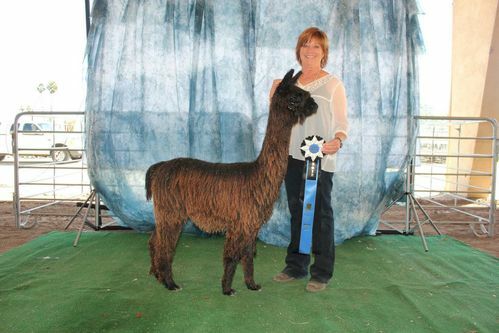 She was a champion and displayed fleece qualities way above and beyond her time! She is also a sweetheart who would crawl into your lap if she could.